Come join us for this fun, informative, interactive introduction to the wonderful world of Kodály-inspired education! Whether you are brand new to teaching or a seasoned veteran, you are sure to be inspired as Tanya shares some of her favorite tried-and-true songs, games, activities, and teaching strategies! She will also share her tips for encouraging mindfulness in the music room, and how it has transformed her teaching and learning. *Please park in the side lot and enter through the entrance in the back of the building. There is a walkway between two trees that leads there from the side parking lot. ^Please Note: We will have one hour for lunch. There are some restaurants nearby between 32nd and 38th along Youngfield, in the Applewood Village shopping center. Or, feel free to bring a sack lunch! Tanya LeJeune is in her 23rd year of teaching elementary general music, most of which have been Lukas Elementary in Jefferson County Public Schools. 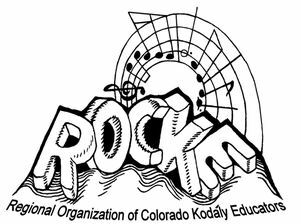 She holds a Master’s of Music Education with Kodály emphasis degree from Colorado State University and is past president of ROCKE. Tanya teaches Kodály Level I Folksong Analysis and Pedagogy at CSU. She has presented music education workshops and in-services locally and nationally for OAKE, Northwest Kodály Educators, Jefferson County, Adams County 50, Adams County 14, CMEA, AOSA Rocky Mountain Chapter, Broomfield Preschool, Colorado Christian College, and Metro State University. She hosts the podcast Music Teacher Coffee Talk​ with friend and fellow ROCKE member Carrie Nicholas. It can be found on iTunes, SoundCloud, Stitcher, or wherever you get your podcasts.